It has been quite some time since any major American automaker has produced a station wagon for their lineup. Buick, ever ready to buck trends, is now preparing to bring the wagon back in style with the 2018 Buick Regal TourX. To capture a large portion of the station wagon segment, Buick is adding plenty of new features, both exterior and interior, to give its new Regal variant a competitive advantage. As a result, the 2018 Buick Regal TourX is shaping up to be one of the year’s most exciting new vehicles. What’s New for the 2018 Buick Regal TourX? The 2018 Buick Regal TourX is an all-new addition to the Regal family in the United States, joining its totally overhauled 2018 Buick Regal Sportback counterpart. The 2018 Buick Regal TourX is available in three trim levels: the 1SV, Preferred, and Essence. The most notable exterior feature of the Regal TourX is its wagon-based design. Nevertheless, there are also plenty of other exterior amenities that add to the TourX’s exterior appeal. A solar-absorbing windshield helps the Buick Regal TourX make the most of extremely sunny days. Upgrade to the Essence trim, and you can even enjoy the convenience that a hands-free liftgate provides. For the 2018 Buick Regal TourX, a 2.0-liter Turbo DOHC engine with variable valve timing (VVT) is paired with an eight-speed automatic transmission to deliver 250 horsepower and 265 lb-ft of torque. Despite its larger body shape and design, the 2018 Buick Regal TourX is only slightly less efficient than the sleeker Sportback. Each trim level of the TourX receives 19 MPG in the city and 27 MPG on the highway, per the EPA. 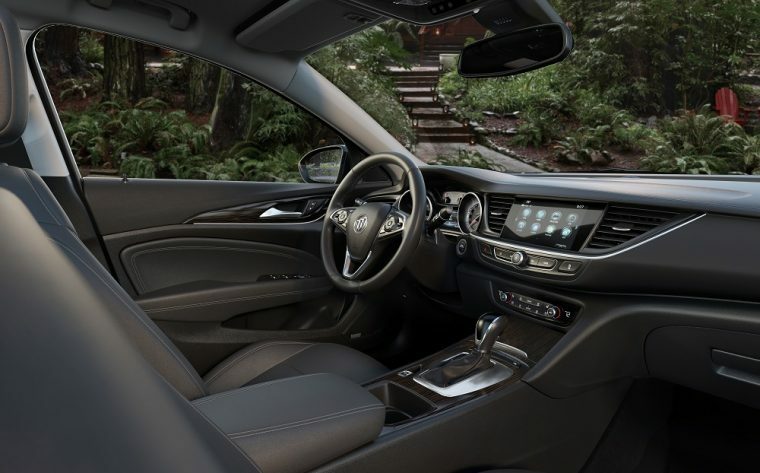 With its all-new station wagon design, the Buick Regal TourX provides more room in its cabin than ever before. With the back row seats folded down, the Regal TourX has a maximum cargo space of 73.5 cubic feet. That roomy cabin is replete with enjoyable amenities, including OnStar 4G LTE with built-in Wi-Fi hotspot, which allows up to seven mobile devices to connect to high-speed internet. Thanks to standard Active Noise Cancellation technology, your ride in the Regal TourX will be one imbued with a sense of quite and comfort. Designed to be a family vehicle of sorts, the Regal TourX obviously includes some of Buick’s best safety features standard, such as a rear vision camera and daytime running lamps. 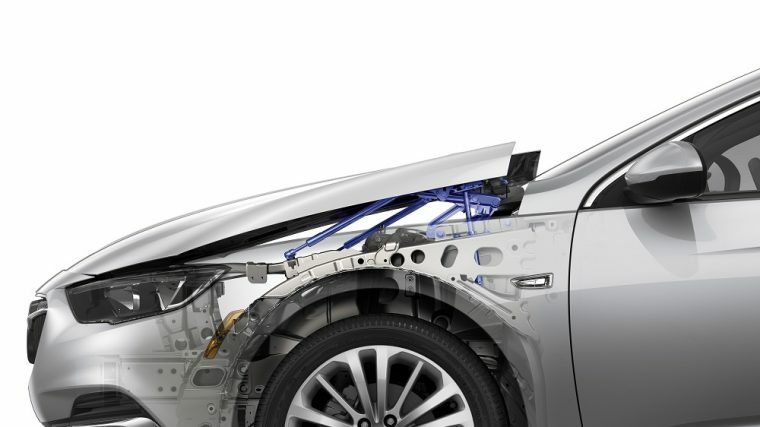 Available safety systems like Front Pedestrian Braking simply add even more security to your daily drive.